Tzenkethi Captain Neth Parr could no longer be a party to the madness of genocide. Each life lost nudged her a bit further towards the path of rebellion. Finally, at the battle of Bajor, she abandoned her command, betrayed her hero and admiral, and sought political asylum on Deep Space 9. What were the events that led to this pivotal moment? In “The Renegade’s Regret”, you can see what life was like as Captain Neth Parr before she surrendered herself at Deep Space 9. This featured episode features a brand new game mode: Play as Captain Neth Parr on the ground, and fly the Coalition Warship Steadfast! 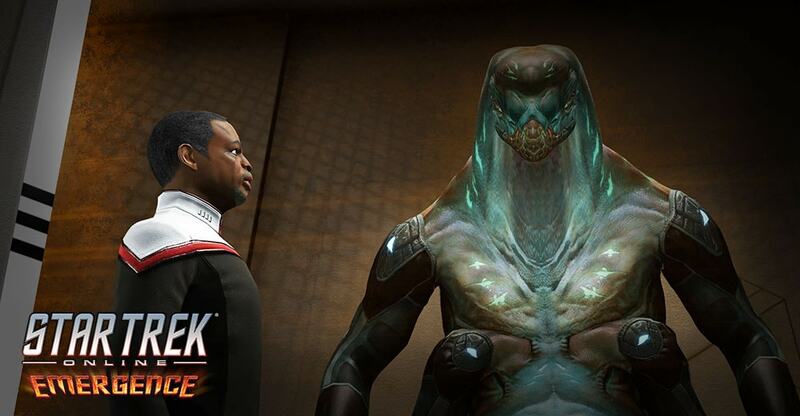 “The Renegade’s Regret” will be available to all players level 10 and up (Romulan players must have selected a faction) for a limited time. Afterward, find it in your mission journal to play.